On October 6 (Sat. 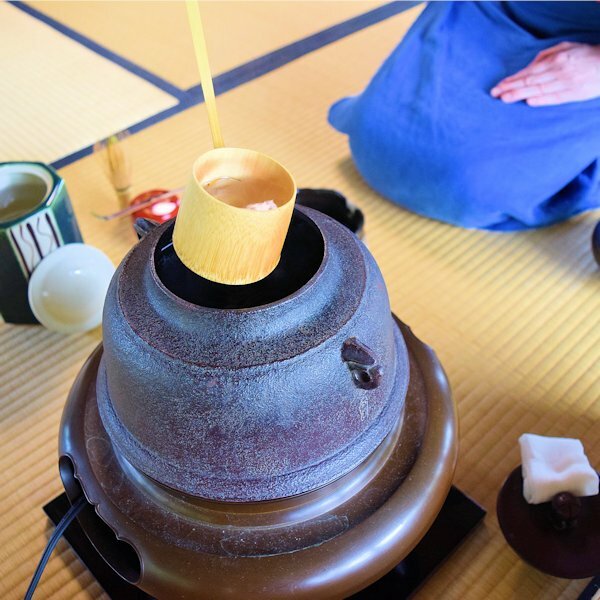 ), we held a tea ceremony lesson as the rain dripped down all around us. 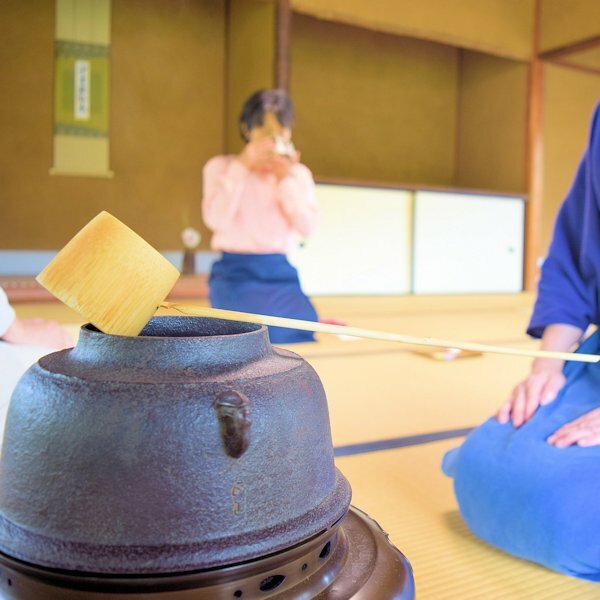 This lesson was a back to basics class featuring detailed instruction in the movements and gestures of the tea ceremony. 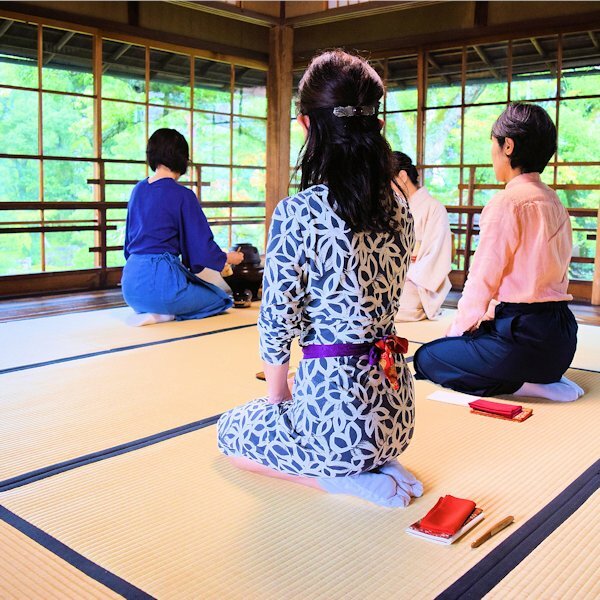 One participant told us it was a good opportunity for her to brush up on tea ceremony gestures she already knew. 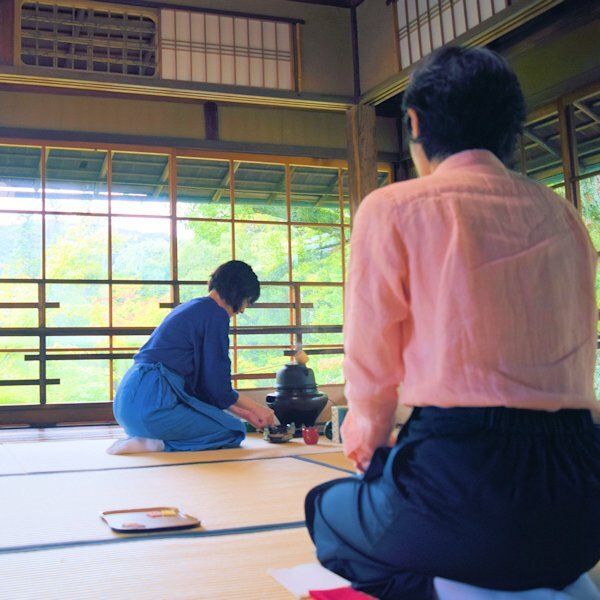 The Murin-an tea ceremony is held every Saturday. Come around to the garden and savor a cup of freshly whisked green tea.